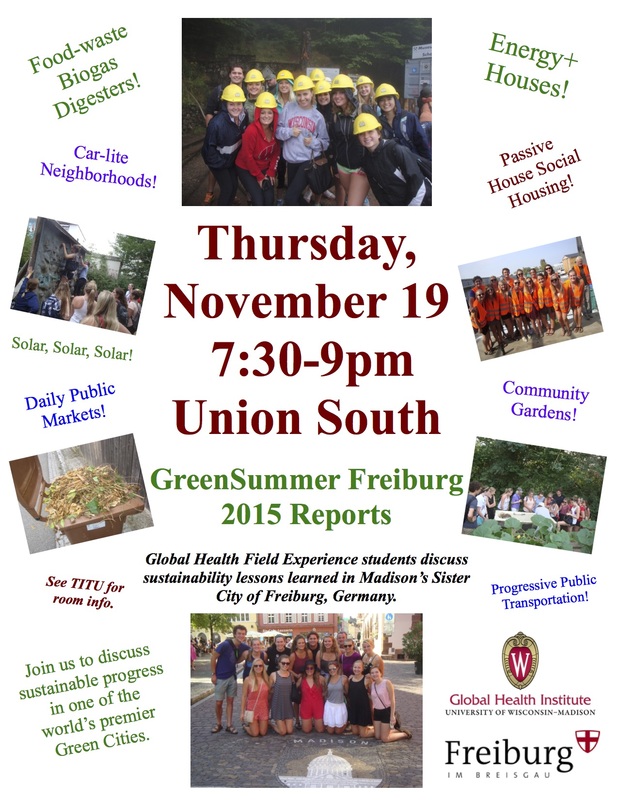 Students who participated in the Global Health GreenSummer Freiburg 2015 will report on their experiences in one of the world’s premier Green Cities from 7:30-9:00 p.m.Thursday, November 19, at Union South (see TITU for room). Students explored food-waste biogas digesters, Energy-Plus houses, sustainable neighborhoods and many other aspects of Freiburg’s sustainable economy in their three-week GHI Field Experience this past summer. Please join them to share in their discoveries on the path to a global carbon-free future.